More and more companies are looking for creative ways to reach their potential customers and effectively deliver their marketing message. Going through someone they trust and admire is a great way to make sure their eyes are on your product or service. Working with influencers can do more than just get your name out on social media though. It can also help boost your search engine optimization so that more people can find you when they use Google. In this post, we’ll look at what Influencer marketing is, how it works, and the positive impacts it can have on your search engine traffic. Influencer marketing focuses on using thought leaders, industry leaders, and popular figures to deliver your brand’s message to a broader audience. Rather than delivering your brand’s message through traditional and online advertising channels to your target audience, you instead engage with, partner with, or pay influencers to deliver your message for you. Most commonly Influencer Marketing is used in conjunction with content and social media marketing. Most Influencer Marketing campaigns involve a company creating content or the influencer creating content which they then spread through their social media channels, which generally have large and often targeted audiences. Because this content is either created or curated by a trusted figure in the lives of your target audience, many of the barriers that you face in advertising are hurdled, and your message is more likely to be received and accepted. According to a McKinsey Study, marketing-inspired word-of-mouth generates more than twice the sales of paid advertising, and these customers have a 37% higher retention rate. If you’re curious about how brands are using Influencer Marketing, HubSpot has recently published a great post highlighting ten fantastic uses of influencer marketing, including this gem featuring Nick Offerman (though it is quite long). 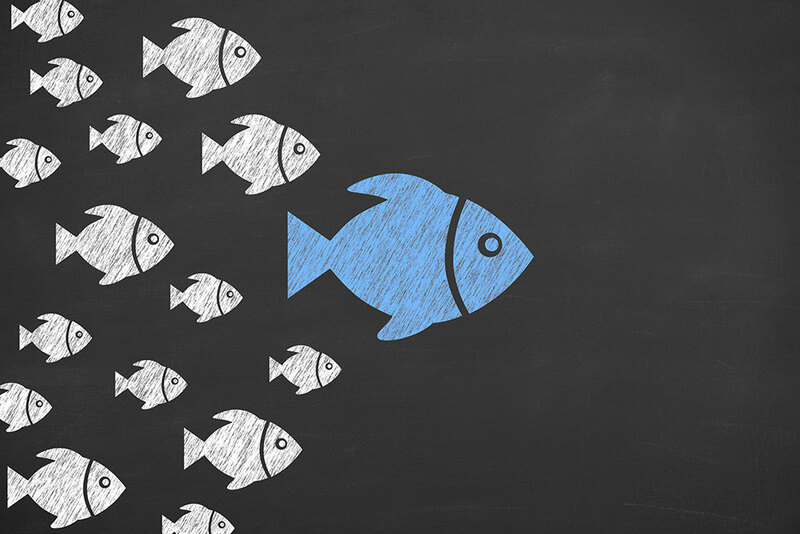 While Influencer Marketing can provide fantastic benefits for your marketing in the short term, it also has the power to effect long-term change. Given that Influencer marketing is content based and driven by social media, it can have a positive, even dramatic, impact on your visibility in search engines, and should be at the top of your “to-discuss” list with your SEO company. The goal of any good marketing strategy is to have your potential clients engage with your brand, and influencers make this happen more organically. When they mention your product and send customers your way, those people are likely to do a deeper dive into your website and content – and they’re more likely to read instead of skim, to linger instead of leave. This increased engagement also helps your SEO, because Google factors in things like time spent on your pages and your bounce rate when determining its rankings. When an influencer steers viable prospects to your site, their engagement boosts your search engine ranking, leading to a better presence and even more hits. A great influencer will link to your site, your social media, and your blog frequently when they write or make a video about how much they love you. Search engines take into account the number of backlinks that connect to your site when ranking your pages, so your influencer is doing some great SEO work for you – even if they don’t realize it. Work with your influencer to connect to particular pages, and encourage them to use all their platforms since backlinks from a range of sources will give you more unique content mentions, which search engines love. Additionally, good influencers will likely have followers who are influencers themselves, just on a smaller scale. Often these sub-influencers will repurpose content from their influencer icons for their own purposes, generating even more backlinks to your site. Don’t forget that more people than ever are using their favorite social media platforms like search engines. When your influencer gets your name out on Twitter, Facebook, and Instagram, your brand is ready and waiting to be found when someone searches. Expanding your reach into non-traditional search engines is a great way to make sure that everyone finds you – not just Google. But beyond the inherent benefits of being found on social media is the idea that as your brand’s reach on social media grows, so will your SEO rankings. While the jury is still out on just how important social signals are for SEO, it’s fair to say that they are part of the whole picture that search engines look at when determining your ranking. Working with an influencer isn’t just a trendy way to get millennials to like you. It’s also a solid plan for improving your search engine presence and making sure you’re ranking when people are looking for your product or service. As with all online and offline marketing, it’s important to look at all of the consequences of any marketing endeavor that you may undertake, both good and bad. Luckily for almost everyone involved, Influencer Marketing, if done well, can be an effective way to build your brand, promote your products or services, and in the process, add to your SEO foundation. Just pick your influencer wisely and ensure that they stay on message, you don’t want a good thing to go bad.